So, what was the first building completed during the construction of EPCOT Center? 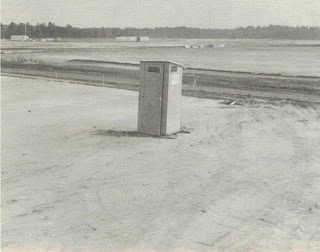 If you believe the exhaustive research of the EPCOT Center Construction News, which I tend to, it was this structure right here. Okay, so it isn’t a modern marvel like Spaceship Earth and it doesn’t have the same awe-inspiring effect that Imagination has, but I am willing to bet it was treasured by the men and woman whose diligence built EPCOT Center. I think I need to take a moment. No signage on it, huh?